After I renamed the computers, synergy V2 will add the new computer but not remove the old one. 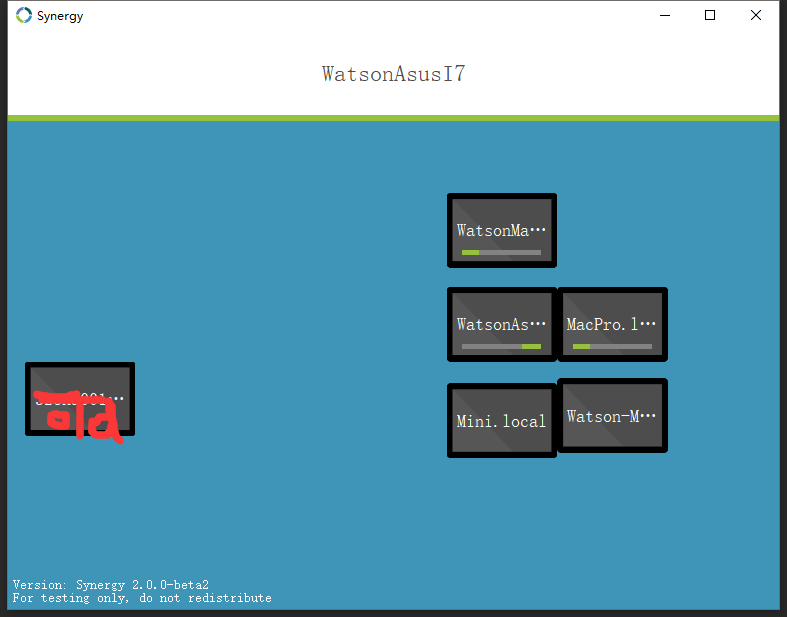 (in Images,"Mini" = "Watson..."="3.." and "MacPro.l..." = "watson-..."). and it can not work(can not connected by any one.) howerver i try to reset configer on local, it can not remove the old one. so the config is on cloud. may i reset the could configer to clean all computers? thank you. When I had purchased Synergy 2.0 Pro it was working very well. However, when I renamed my PC and the Laptop I had paired to it (in order to make it easier for me to know which one is which), but to my surprise when I had restarted my PC and booted into Synergy again. Both my computers showed the old computer names and the new computer names. At first, I thought that this was a minor bug, but now when I even try to pair them together it doesn't work. (BTW the two green loading bar things go on forever). I have attached some pictures. Pinapelz-PC would be the Server and Pinapelz-Laptop would be the Client(I forget which one is which on the old name). Hi @pinapelz. We will be adding a feature to remove the old computer/machine names. Please bear with us on this. Aside from the confusion of which one is the current name, there should not be any other issues related to it.